Grab your surf board and head to the shores of Sri Lanka. This island in the middle of the Indian Ocean is loved by surfing addicts. The Tallala Retreat is a boutique hotel that comes with its own surf school. During your stay you will take part in five water sessions, two classroom sessions and be treated to a full-body massage. Sweat it! A seven-night package includes lessons, accommodation and meals. Priced USD1,090 per person for a double/twin share. See www.talallaretreat.com/. Saddle up at Desert Islands Resort & Spa by Anantara and enjoy riding along its private beach and taking your horse for a splash in the sea. 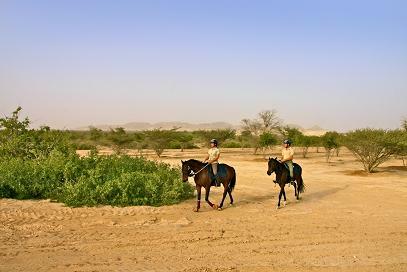 If you are new to riding, the resort also offers lessons at its equestrian school on the island. When you’re not living out your movie moment in the saddle, you can also enjoy snorkeling, hiking, kayaking and join a 4×4 drive safari through the wildlife park. 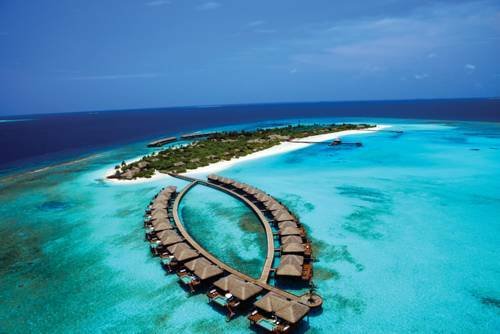 You could spend the Eid break with a boxset or exploring the reefs of the Maldives. Book into the Zitahli Kuda-Funafaru dive centre that has access to 30 dive sites in the Noonu Atoll, which are exclusive to guests of the hotel. And if you want to really improve on that Facebook brag, you could also take one of its PADI courses, including Advanced Open Water, Nitrox or PADI Dive Master. 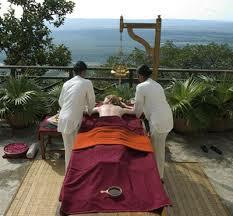 If you’ve had a hectic summer a visit to the world renown spa Ananda in the Himalayas could be just what you’re after. Set in the grounds of a maharaja’s palace, this five-star hideaway treats mind, body and soul. Shake off those city stresses with a nature walk, followed by yoga, a gym class or three and finish the day with a chilled out meditation session. If that doesn’t give you a boost, its Rejuvenation Food will (yes, really). Sweat it! Book a Himalayan Bliss three-night stay for USD520 per night, including room, breakfast and dinner. (Offer valid until 30 September.) Visit http://www.anandaspa.com.